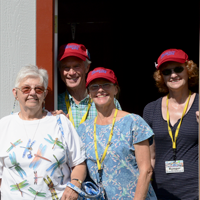 VAA Life Member 12606, EAA Life Member 268346Welcome back to our new updated format for EAA Vintage Aircraft Association’s Vintage AirMail e-Newsletter. Our newsletter team has worked hard for several months to update and modernize our AirMail format to make it easier for you to read and enjoy. 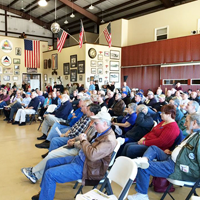 I hope you enjoy reading it.The 2016 planning for the Vintage portion of AirVenture is coming together quite nicely again this year, and we are certain to have yet another banner year for the VAA. Your Board of Directors met at the Candler Field Museum in Williamson Georgia for our winter Board Meeting in late February.The Peach State Aerodrome is a fascinating place to walk around as the odor of old aviation is always in the air. They have an airworthy Jenny on the field and one of our very deserving Vintage Volunteers won the raffle for a free flight in the old girl. It turned out that this was Pat Blake’s very first open cockpit flight, and all indications were that she thoroughly enjoyed her time in the old Jenny. 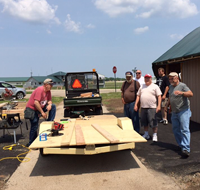 The Vintage Maintenance Team under the direction of chairman Mike Blombach will be busy at the first of three scheduled work weekends at Oshkosh. This year we will be building a front porch for the AirMail shack, a new roof for the Charging Station, completing Tall Pines, and many small projects. 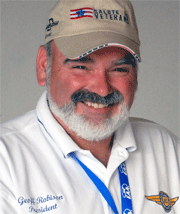 Do you have some free time when attending AirVenture? Would you like the best seat in the house to see the airshow? Want to see our many showplanes close-up? Who can identify this aircraft that appeared in the late 1940s. When sending replies please disclose as much information as possible about the aircraft’s development, specs, performance and history. Not only from Oshkosh and no longer a “youth” to many, but as the son of long-time Red Barn Chairmen Sandy and Barry Perlman, Nate also grew up at Vintage. 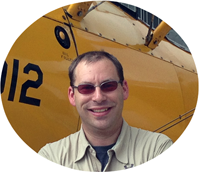 Read his first blog installment about the beginning of his love affair with his 1942 Stearman. The first correct response received for the April 2016 Mystery Plane was submitted by Wayne Muxlow. He identified the amphibian as the Towle TA-3 which was built during 1930 in Detroit, Michigan by the Towle Aircraft Comany under Group 2 approval #2.291. The 8-place TA-3 was powered with two 225 hp Packard DR-980 diesel engines. Others who sent correct answers were Arthur Schwedler, Ulrich Rist, Pit Ross, Jim Grant, Thomas Lymburn, Robert Bailey, Dan Shumaker, Bruce Hinds, Dave Austin and Brian Baker. A number of respondents identified the amphibian as a Douglas Dolphin and admittedly the TA-3 does appear somewhat similar to the Douglas design. In part one of our discussion on maintaining a production airplane, I provided an overview. We will now discuss the actual maintenance items that you can legally perform on your production airplane as the aircraft owner.